Alessandro Michele’s artistic digressions have been one of the defining elements from his historic, albeit brief, tenure at Gucci. From the sumptuous Glen Luchford lensed campaigns, with their innate sense of cinema; to his enlisting of young artists the world over for dynamic digital art projects; to his cavernous technicolour runways, drenched in jewel coloured light and staged at a former railway station on Milan’s via Valtellina, which each season undergoes a radical transformation as the designer’s increasingly eclectic, eccentric aesthetic becomes bigger and bolder, more bedazzled and increasingly baroque. 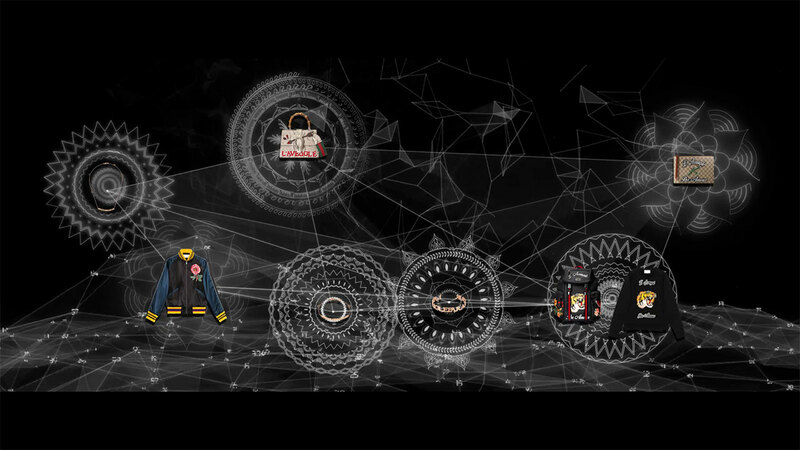 The next logical extension of that, it would seem, has been to create a virtual house for Gucci’s new image under Michele’s singular vision, one built from four interactive rooms commissioned of four contemporary artists – three Japanese, one American – and brought to life through the Gucci 4 Rooms collaborative art project. The Garden Room, created by Mr., a Japanese artist and former protégé of Takashi Murakami. 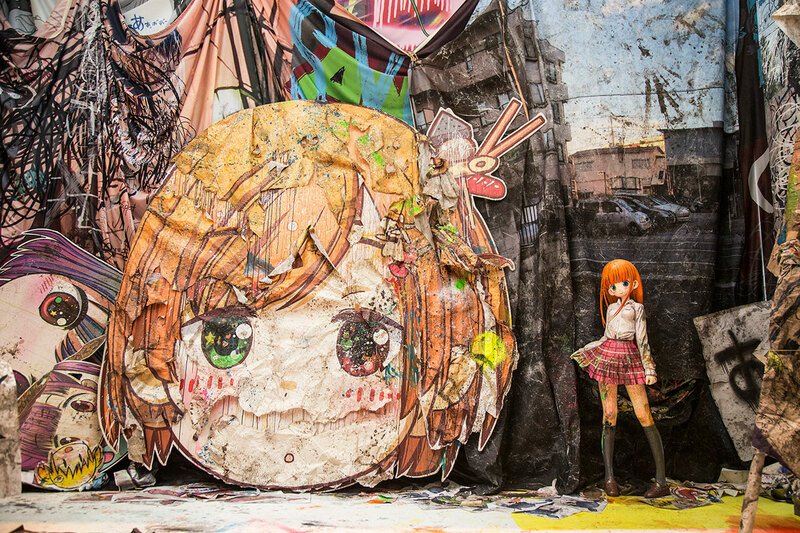 Mr.’s work simultanteously interrogates and partakes in ‘otaku’, the Japanese subculture distinguished by a preoccupation with kawaii manga, anime, video games and multimedia, but always with a dark, subversive twist. 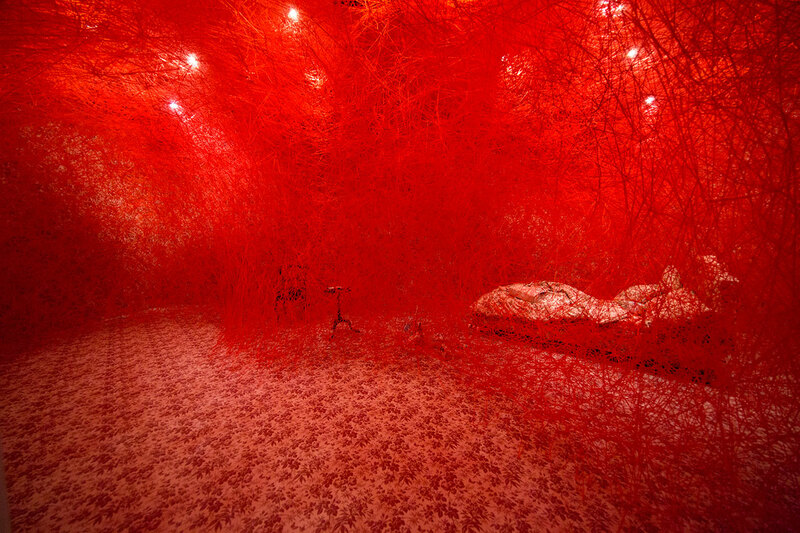 The Herbarium Room, created by Chiharu Shiota, a Japanese artist who has lived and worked in Berlin for 20 years. Shiota’s work was exhibited at this year’s Sydney Biennale, and is making its inaugural debut at the Melbourne Festival (on now until October 23) with another installation using her signature yarn installations to connect objects and physical spaces with lived experiences, emotion and memory. 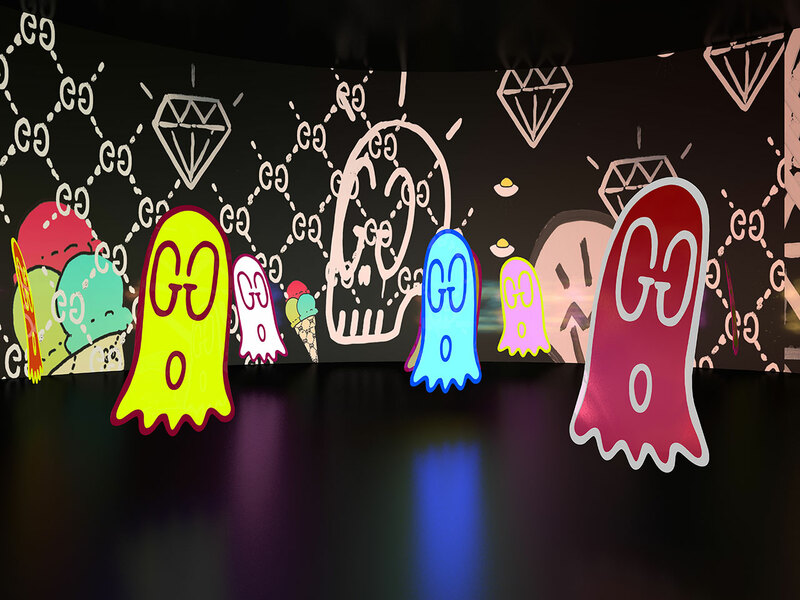 Taking the form of a computer game, users are encouraged to navigate throughout, collecting artist Trouble Andrew’s signature GucciGhosts to unlock a fourth room. Naturally, the spaces are an exercise in redefining decadence in much the same way Michele has – and they’re all see now, buy now friendly for the brand’s Japanese customers, culminating in an IRL installation created in collaboration with Brooklyn-based artist Trouble Andrew. Trouble Andrew – real name Trevor, partner of Santigold – is a former Olympic snowboarder who became familiar to Michele through his friend, the photographer and Gucci collaborator, Ari Marcopoulos. Andrew fast established a fruitful relationship with the brand, beginning with its autumn/winter 2016-17 runway collection in February and continuing today in the ubiquitous crudely-drawn Ghost figure featured across the brand’s accessories, cruise and men’s wear runway shows in June. From today, each of the virtual rooms has been replicated in the brand’s Ginza flagship and Trouble Andrew has also been commissioned to create a separate space in the Elephant Room at Dover Street Market Ginza, bringing each artists’ disparate interpretation of Michele’s unique vernacular into the realm of the real. You can enter a new dimension for Gucci here. The Words Room, created by Daito Manabe, a Tokyo-based media artist, DJ and programmer. Manabe is a sonic artist known for his collaborations with artists practicing across other mediums, most recently including Björk on her eponymous digital retrospective, including the video for Mouth Mantra, which was filmed in a replica of the artist’s mouth. 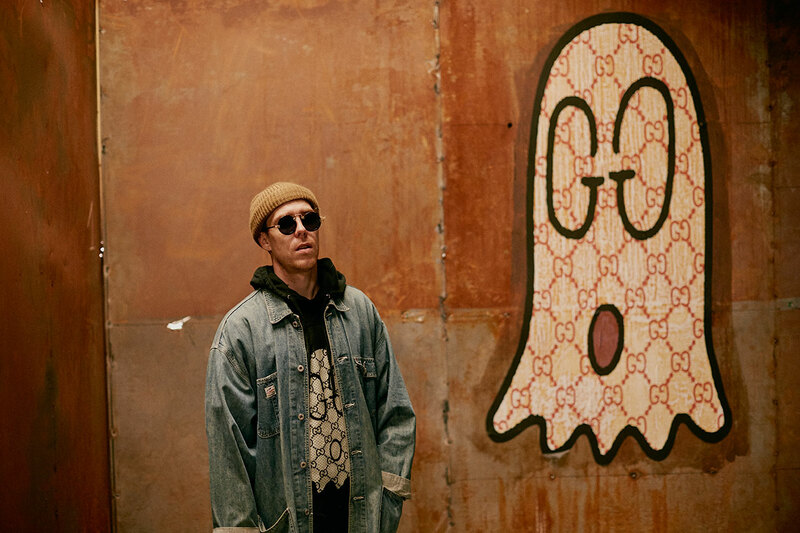 The Gucci Ghost Room, by Trevor Andrew, an artist in whom Alessandro Michele has found a streetwise cipher and regular collaborator. Andrew began experimenting with his rudimentary interpretation of the Gucci logo when in need of an eleventh hour Halloween costume. He famously painted the monogram on a bed sheet, thus sparking the genesis of GucciGhost and an Instagram art project that eventually caught Michele’s attention three years later.